The Government is almost going to ban minor to moderate whiplash claims for compensation soon. One of the reasons behind this (a part from the Insurance Companies lobbying the Government) is that a minority of claims are fraudulent. Unfortunately these claims get the publicity from the press and which tarnish the vast majority of claimants. In the case of Howlet (see link Howlet v Davies – whiplash claims – fraud low velocity claims) the insurance company for the Defendant alleged that the force of the impact was so minor that there would not have been any injury suffered by the Claimants. The phrased used by solicitors is low velocity impact claims…don’t cause whiplash. The matter went to court at first instance and the Claimant’s lost the case and also on appeal. The net result is that the Claimants were ordered to pay the legal costs. What about No Win, No Fee I hear you ask! Had this been the case where there was no fraud then the Claimants would not have been ordered to pay the legal fees. Even if they had insurance to cover their legal expenses the legal expense company would have avoided the policy due to dishonesty in any event. There was also no protection under the change of law that was designed to protect claimants who lost a case (Qualified One Way Cost Shifting). This law came into being in April 2013 to protect claimant’s who lost a case from legal fees save for disbursements. However if you read the Howlet case, see link above you will see that it does not apply if the court finds against the claimants on ‘fundamental dishonesty’, as here. 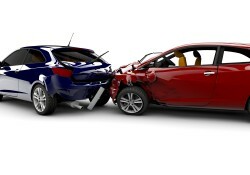 Need advice on making a genuine whiplash injury claim as a result of a car accident please contact us.